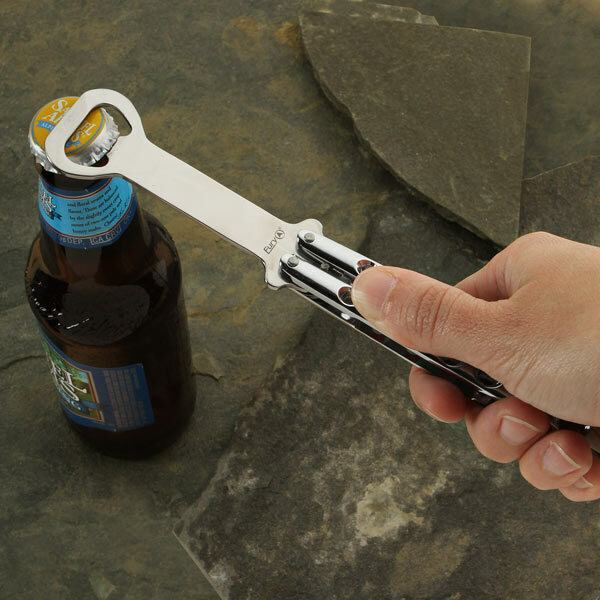 Pop open your bottle while doing some cool tricks with the Butterfly Knife Styled Bottle Opener. Made just like a butterfly knife (or balisong), but instead of a sharp blade, there’s a bottle opener in the middle. So flip, twirl, spin, and have fun with this opener without cutting yourself (either with or without a beer). See what fun you can have in this video here.